Top Ten Beaches In The U.S. Many people who are considering beach destinations for their vacations seem to forget that there are literally thousands of miles of beaches throughout the United States. Though many of the beaches in the U.S. may be a little cold during the winter months, there are many other beaches throughout the U.S that are tropical and warm this time of the year as well. 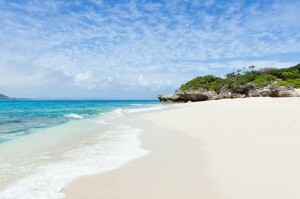 To get you started on your beach vacation journey, Tradewinds Travel Club invites you to take a look at the top 10 beaches for you to explore in 2012. Utilizing all the information offered by all the other top lists, we have complied a compilation list of the best of the best when it comes to the beautiful beaches of the U.S. Take a closer look at this wonderful review and enjoy the stunning and world famous beaches right here in the United States. Main Beach, East Hampton, New York – White sand, roaring waves and glorious mansions of nearby Lily Pond set this beach apart from all others. Beautiful year round, perfect views and tasty lobster are part of the joy of Main Beach in New York. Siesta Beach, Sarasota, Florida – Unlike other beaches in the U.S., Siesta is known for its sand. In fact, soft white sand and lots of it is part of what sets Siesta apart. Perfectly warm year round, this is one must see year round beaches for travel. Cape Hatteras National Seashore, North Carolina – 72 miles of stunning Atlantic coast on the Outer Banks, Cape Hatteras is not only exciting and beautiful but is also home to the nations tallest lighthouse. Coronado Beach, San Diego, California – 1.5 miles long the luxury of the area is beat only by the beauty of the beach. Swimming, body boarding and surfing as well as whale watchers choose this beach as their number one each year. Coast Guard Beach, Cape Cod, Massachusetts – Not known for its soft sand, what this beach is known for is its remoteness and stunning beauty. Only warm enough to swim in summer, people still enjoy the beauty of the area throughout the year. Kahanamoku Beach, Hawaii – The shallow reef surrounding this beach makes it ideal for families and small children. St. George Island State Park, Florida – Birding and fishing as well as swimming and relaxing make this a popular park for anyone visiting the state of Florida. Beachwalker Park Kiawah Island, South Carolina – Abundant recreational opportunities and public beaches make this an area worth mentioning. Canoeing and kayaking, birding, biking, swimming and simply relaxing are all popular and great ways to enjoy this beachfront location. Hanalei Bay, Kauai – Also known for its white sand stretching for miles, this like all other Hawaii beaches are perfect year round destinations. Great surfing, relaxing and swimming in addition to amazing views make this a must see. Cape May, New Jersey – Beautiful beaches and many creatures who call the area home know Cape May as the crown jewel of the area. Small and quaint it is beautiful and relaxing as well. What do you think? Tradewinds Travel Club reviews the tips and information that make your vacations more fun. If you enjoy learning more about travel and vacations, Tradewinds Travel Club invites you to do so with us. Explore the world with Tradewinds Travel Club.